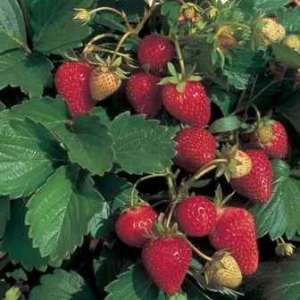 Strawberry plants loaded with ripening berries. Strawberry season is officially upon us here in central Kentucky! Our 150-square foot patch is full of plants that are just loaded with berries. The patch was pretty neglected when we moved here early last summer and we have been diligently weeding it, mulching it, fertilizing it with rabbit manure, and culling weak plants since then. Our diligence has paid off with enormous amounts of berries. We’ve been getting a basket full every day and eating them fresh, but today there were just way too many to eat all at once so we preserved today’s haul. 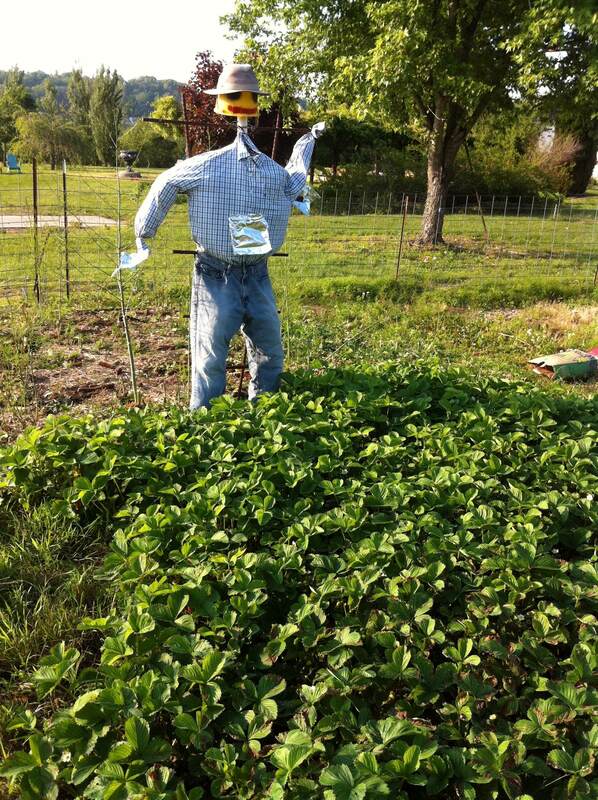 Last year, unfortunately, we didn’t get any berries from the strawberry patch. When we arrived at our new home in mid-June, the patch was completely overtaken by grass and other weeds. Absolutely no berries were left for us as the birds had evidently feasted on them all. June is typically prime strawberry season, so we were disappointed to not get a single berry last year and we took steps to ensure a good harvest this year. The first thing we did was clean out the patch really well. We eliminating all the grass by hand. We culled older and weaker strawberry plants to give the younger and healthier ones more room to grow. We simultaneously mulched and fertilized the strawberry patch with old bedding from our rabbit hutches. The straw helps keep the weeds at bay and the manure adds the necessary fertilizer as the old bedding breaks down and composts in place. We kept up these tactics throughout last summer, fall, and early this spring. We hoped the payoff would be lots of big juicy strawberries. As soon as the berries began to turn pink, the birds began circling. Lindsey and I were determined to not lose our harvest to the birds again this year. We don’t mind sharing a few berries with the wild critters, but we want some too! The scarecrow discourages avian marauders. 1. Wash and hull the berries. 2. Place the berries on cookie sheets so they’re not touching each other. 3. Put the cookie sheets with the berries in the freezer. 4. Once the berries have frozen, take them off the cookie sheets and put them into freezer bags. This keeps the berries from sticking together in the freezer bags. 1. Wash and hull the strawberries. 2. Put the berries into a large heavy pot over low heat. 3. Mash the berries with a potato masher (or similar). 4. Add 4 cups of sugar and 1/4 cup of lemon juice and stir to dissolve the sugar. 5. Once the sugar is dissolved, turn the heat up and stir continuously until the mixture reaches 220° F.
6. Ladle the mixture into sterile jars. 7. Put the lids on the jars and process for 10 minutes in a hot water bath. 8. Let the jars cool and check that they are sealed. 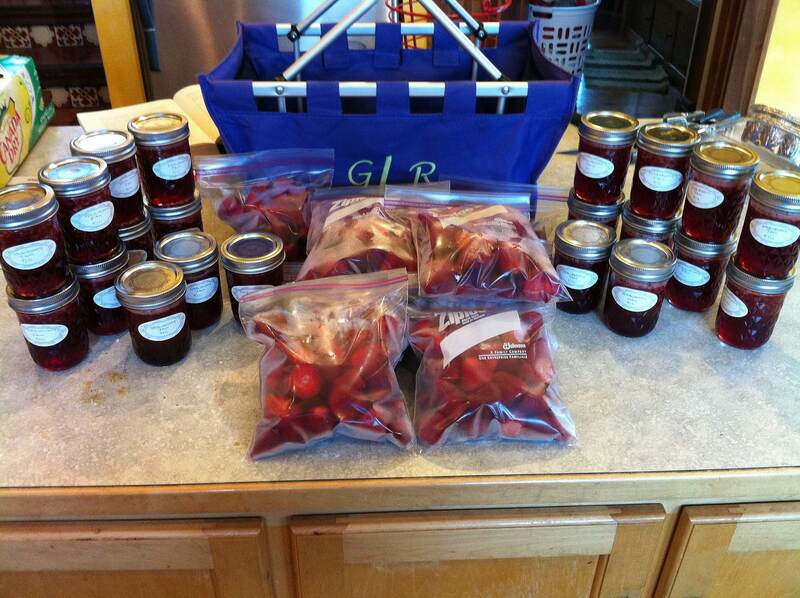 One day's strawberry harvest: 9 bags of frozen berries and 21 jars of jam.